The North Walsham & Dilham Canal - North Walsham Guide is created in North Walsham for North Walsham. One of only four canals in East Anglia, the canalised River Ant originally extended above Wayford Bridge for approximately nine miles to its terminus at Antingham Ponds. Dug entirely by hand by Irish Labourers over a period of eighteen months, it was officially opened in August 1826, although wherries had sailed from Wayford Bridge to Cubitts Mill in North Walsham the previous June. The canal provided a useful asset to the town, but the head of water needed to operate its locks was so small that only three wherries could pass each way per day. After only ten years the canal was starting to silt up, and could never compete with the coming of the railway in 1874. In 1921 the canal and its infrastructure was sold to Cubitt & Walker of Ebridge Mill who set up the North Walsham Canal Company and remain the owner of the majority of the canal to this day. 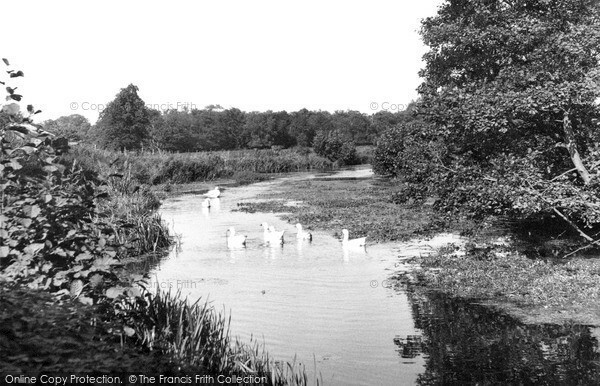 In 1927 the canal was de-watered above Swafield with the last wherry sailing in 1934. The canalremains in water up to Spa Common, passing through three gateless locks and under five bridges with navigable headroom. An engineering survey and environmental assessment has looked into the feasibility of restoring the canals lower reaches to navigation for smaller sailing craft and canoes, and the towpaths for walkers and anglers. This found that the restoration of the 61/4 miles to Spa Common was perfectly feasible, with the length below Honing Lock remaining navigable to light craft. The Griffon Partnership is involved with other local partners in taking forward the idea of forming a North Walsham & Dilham Canal Trust. The aim would be to protect, conserve and improve the route of the canal and its branches, so that the area could be enjoyed by the whole community. Regular working parties meet to stop the further deterioration of canal areas, locks and structures, and to tackle other problems along the canal - for more information, volunteering etc. please contact the Griffon Area Partnership. The Broads and its waterways are designated as a National Park.